Elli Bishop is a contributing safety expert from SafeWise.com. When she's not teaching you how to make your home safer, you can find her skiing, organizing and re-organizing her closet, or searching Pinterest for ways to redecorate an apartment the size of a shoe box. A back porch is the perfect gathering place to host a BBQ, watch a sunset or gaze at the stars. 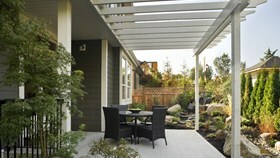 Fortunately, creating the ideal outdoor space for your small home is simpler than you may think. Everyone from Brad Pitt and Angelina Jolie to Tom Brady are upgrading their home security. 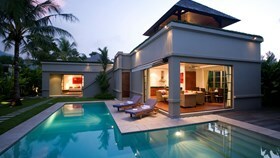 Take a look at the measures celebs will take to keep their homes, families and belongings safe. 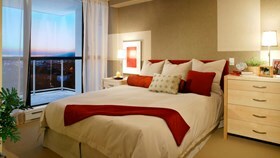 As newlyweds, buying and settling into your first home is an exciting and nerve-racking experience. Knowing what to expect can help the process go smoothly. From budgeting to renovations, here’s your step-by-step guide to first-time home ownership. Smart home automation is great for indulging your inner control freak. From the controlling lights, locks, security systems, appliances, entertainment systems, climate and carbon monoxide detection, you won’t have too much trouble customizing a system that simplifies life little by little. Two of the most effective ways to protect your family and belongings are home security systems and home automation products. 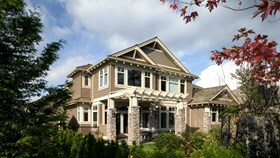 A good place to start is to create a list of the pros and cons, including what each could cost you. If you’re a DIY enthusiast like us, you can’t wait to put your own stamp on a new home after closing. Unless you want to live in a construction zone, however, there are certain projects you’ll want to tackle before you move in. 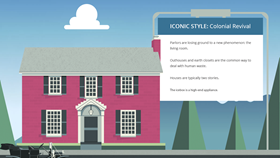 A new parallax infographic from imove gives us a tour of 115 years of American homes. What’s great about it is that it lets us travel back in time to see how our grandparents’ and great grandparents’ houses were different from what we know today. Maybe you’re a West Coast resident who just bought a new home or maybe you’re trying to sell one. Either way, you want to know that you’ll be able to get the money you put into remodeling projects back out. Valentine's Day is right around the corner, and that means you’re probably starting to stress about what to buy your partner. From hanging her favorite pictures to beefing up your home’s security, we’ve found seven DIY projects that are sure to make her happy this Valentine’s Day.